Charter Financial is a privately held company that was founded in 1997. We started small and have built our business into one of the largest purchasers of privately held notes in the country. Our business was built on the premise of offering very competitive pricing for note acquisitions and by offering our clients professional personalized service. In 1999, we made a corporate decision that revolutionized the way we do business. At that time we were relying on our own ability to locate note holders across the country. We studied the market place and found that we could offer the most competitive pricing in the industry by utilizing brokers as a source for locating notes for us. Thus, the “Building Wealth Together” program was born. Since that time, we have become the “Number One” source for beginning brokers in the country. We have also evolved over time and have added additional income streams to our portfolio. Besides purchasing privately held mortgage notes, we now purchase structured settlements, lottery winnings, and seller-financed business notes. 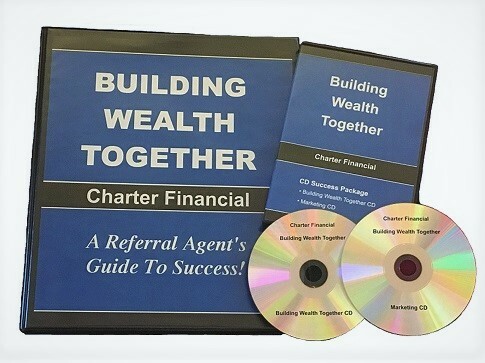 Our “Building Wealth Together” program has been nationally recognized by various publications and has been called: “The Best Training Manual” in the industry. Take charge of your life today and become a successful Charter Financial independent representative. Born in San Antonio, Texas and a graduate of Texas State University at San Marcos (then known as Southwest Texas State University), Leland began his career in the restaurant industry and eventually worked his way up to owning two restaurants in Houston, Texas. After years in the restaurant industry, Leland searched for “the perfect” business that allowed for more flexibility along with excellent income potential. He found that opportunity when a friend suggested he consider buying privately held notes. After briefly researching the industry potential, Leland began working the business and found immediate success. Within 9 months of starting his new business on a part time level, he sold his restaurants and began working the note business on a full time basis. Eager to learn as much as possible, Leland made it a point to read everything he could find on the subject and also attended note conventions and seminars around the country. Armed with a growing knowledge of the note business and a desire to increase business, Leland created the “Building Wealth Together” program. This program was designed to teach individuals how to locate note holders so that Charter Financial could purchase their notes. This program has been a huge success not only for all Charter Financial associates but for the company as well. 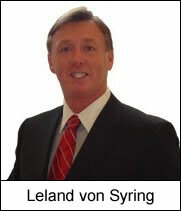 Leland has grown the company from a one man operation to being a national leader in the note industry with offices in 5 states with over 25 employees. Leland is still active in the company and enjoys speaking with and training his associates. Leland is most proud of the fact that that he is able to help individuals reach their earnings potential, changing their lives for the better. He also takes pride in the fact that his company is consistently recognized as a leader in the industry and annually recognized by the Houston Better Business Bureau as one of its outstanding members. “I would like to personally thank you for taking the time to look over our exciting business opportunity here at Charter Financial. I know you will find that we are a great company to work with and one that truly values the relationships we share with our associates. I have designed an easy-to-follow system that teaches you how to set up a home based business that will allow you to make an excellent full or part-time income. Even if you have never worked for yourself before, you will find this business simple and easy to operate. When I founded Charter Financial in 1997, I too was looking to improve the quality of life for my family and myself. I know what it takes for a beginner to be successful in this business and I have set up our company with the beginning associate in mind. If you have been searching for the perfect home-based business, you can stop looking any further because you have found it. Once you begin working with me and Charter Financial, you will get to see how “the other half lives” by having more money and more extra time to spend doing the things you enjoy.